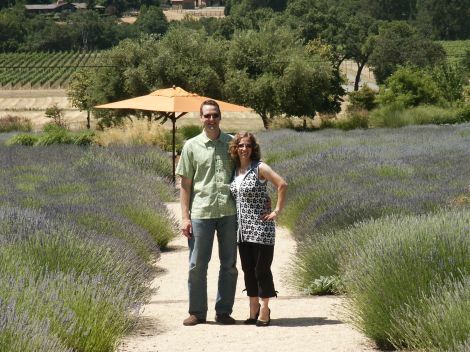 my sweet muffin of a husband and i were out in napa with friends (see below) in june for vacation, and while we were there we dragged them 90 minutes away to the bennett valley in sonoma county to see the beautiful matanzas creek winery. we first discovered it on our first trip to the area back in 1992 and have been big fans of their superior handcrafted wines ever since. 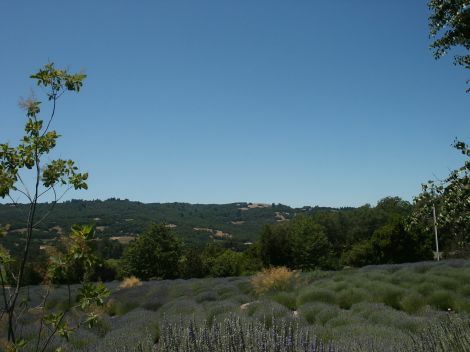 when we visited, we were lucky enough to catch the lavender in bloom this year: 4,500 magnificent provence and grosso plants arranged in terraces down a one acre hill. it truly is a feast for the senses. imagine a sea of purple and the quiet, humming sound of bees drifting lazily and drunkenly from one flower to the next. the redolent, relaxing scent of the blooms and leaves wafting into your nose as you close your eyes and deeply inhale, and afterwards stroking your hands and wrists against the herbs to keep the scent with on you and in your memory for a long, long while. i am thinking “ahhhh” as i write this. but i digress. we were seduced by the wines as well, and decided to join their wine club. when i opened our first shipment, inside of the carefully packaged box was a small cube covered with russet-colored tissue paper. 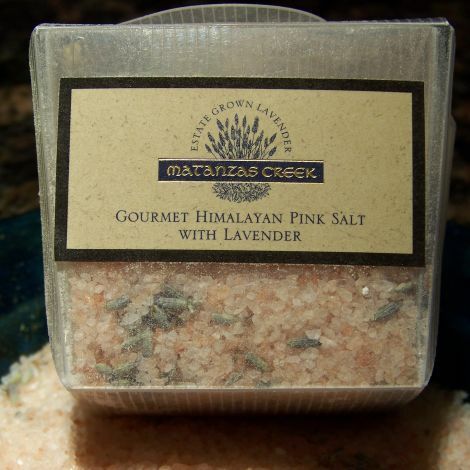 i opened it to see what it was and to my delight it was some wonderful lagniappe – a package of pink himalayan sea salt, made heady by the edition of the winery’s estate grown lavender. so now i must humbly beseech all of you in out there in bloggyland. 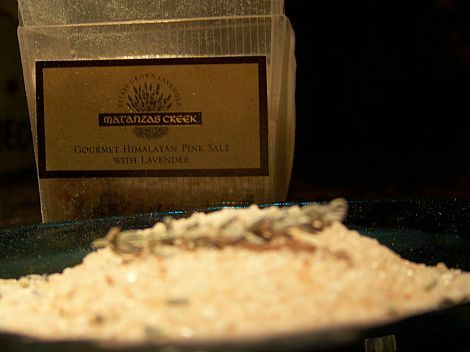 who here among us can offer up any suggestions about dishes that should include this salt? 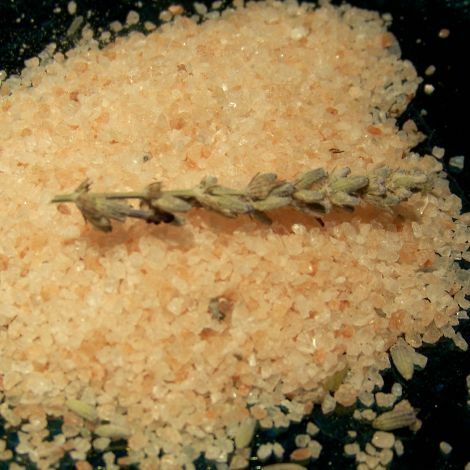 Wouldn’t you just put it in a mill and grind it up as a seasoning, just as you would with regular ol’ sea salt? I imagine it would be infused with subtle lavender..yummy! of course i hadn’t thought to do the most logical thing, i.e., what you are saying. duh! 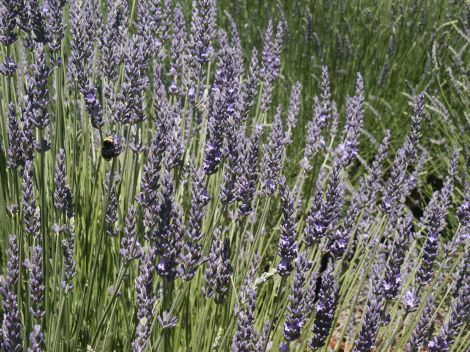 when does lavender come into bloom by you? Seems like they’d be good for a soak in the tub, or maybe on top of some sweet treat to give them a little savory contrast. i think the idea of shprinkling a little on chocolate or caramel candies is a very good one!!! my first thought was: this would be delicious sprinkled on something simple (without too many other flavors to compete), like a perfect grilled rare steak, baked potato with butter or sour cream, and watermelon.